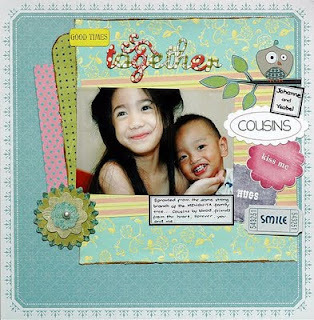 Just want to share with you guys a layout I made at September Layout Tag at WeScrap. 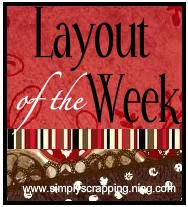 Currently this layout is one of my fave... This is the photo of my son and his cousin Ysabel. The two of them are so adorable to look at. I just love the color I used and the details I put on this one. I hope you guys love it too :D Thanks for looking! Sis this is stunning!I love your color combo.Galing!! !